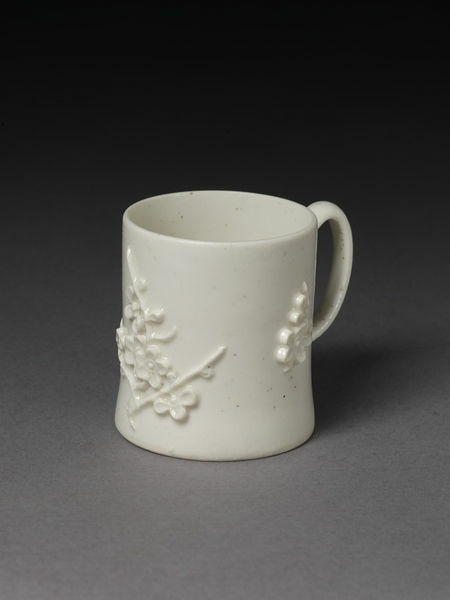 Mug of soft-paste porcelain, cylindrical with loop handle. Decorated with applied sprays of prunus-blossom in relief. 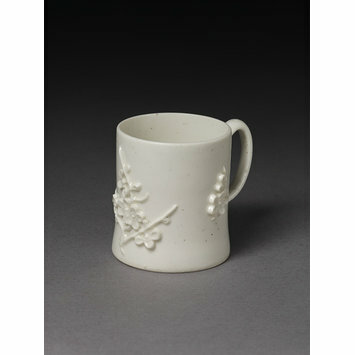 Made in imitation of Chinese porcelain of the province of Fujian.